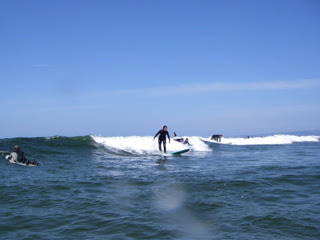 We had another StokeMaster surf camp at Sunset beach near Santa Cruz. This used to be an event that would have only 4 or so people participating. But this time, we had over 15 people participating. Many of us know each other for 4-5 years, and it is great that so many of us stuck together for this long, and I've realized how good people have gotten surfing! When we all started, we did not know much about surfing but we now go out trim on long boards and walk the boards and the whole number! I will look forward to years to come and see more changes. Please check the photo album from the event.